“We have had a wonderful holiday staying at Primula cottage. Everyone who works here is very kind and helpful. The pool and gardens are simply beautiful. “Our party ranged in age from 7 to 80. The 7-years old improved his swimming and managed to swim the full length of the pool. Everyone had an immensely enjoyable time with the trip on the RIB the high spot. My older daughter, who is a Professor of Landscape Design, was really impressed by the garden and the range of plants. “Villa Cecilia is a place I would return to and I would highly recommend to other travelers. The gardens are magnificent and are perfectly maintained. The Main House and guest houses are perfectly maintained and their classic Italian style is inviting and very comfortable. 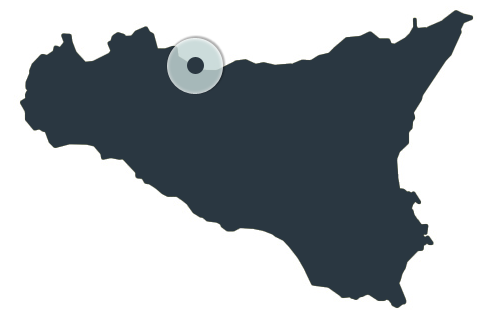 Villa Cecilia is ideally located on the sea just a 45-minute drive from Palermo airport. The staff is most accommodating. They made us feel at home and every request was fulfilled timely and professionally. “The staff and chefs at Villa Cecilia Trabia are extraordinary and made our stay truly special. In every way the service staff was unparalleled! Our meals, excursions, snacks, and drinks were all delicious and gave us a real feel for Sicilian food. “We had a great time here! Everything looks beautiful and it was perfect. Maria was so very helpful and very nice. She was very patient with the group. She met us for the boat ride, plus I heard that she got some calls during the week on things and responded immediately. Please pass along our very warm thanks for making it a great week. Everyone loved the villa and the village of Trabia. In fact, last night we went around the table and each person said something they will fondly remember about the trip: the villa, the boat ride, the pool, the sunsets and sunrises, the top deck to enjoy the view, the location, the village, the local bread store, the gelato, the sfincione and focaccia. No one had anything bad to say. “We had a wonderful family vacation here in Trabia. The staff was fantastic and when the hot water went out in the villa and Main House, the staff worked to fix it immediately. Also my son slipped and fell on the stairs and he required stitches. Maria responded immediately and directed us to the nearest hospital and came to get my son’s antibiotic at midnight. “The house is fantastic. Loved the outdoor table, pool grounds. The boat was amazing as were the skippers. Everyone is very friendly and made our stay feel very welcomed. The ladies making food felt like family and Grace and Massimo were very helpful. “Thank you so much for your kindness, your smiles and your big work so that we could have a lovely vacation. “Beautiful gardens. Lovely home and facilities. Wonderful staff. “Absolutely stunning villa and garden/pools. “We have had a wonderful holiday. Accommodation perfect, superb facilities and attentive staff made this a perfect base to explore and enjoy the stunning island. It was helpful to have Grace available for questions throughout the week. There is so much to see and do and it is fantastic to come back to a beautiful garden with fantastic large pool to relax. We really enjoyed table tennis and swimming pool setup. Take time to explore the gardens and wildlife. “We love this stay. It is a gorgeous house, immaculately kept with love and care. The cleaning ladies are very sweet despite the communication but we can tell they love this house and their job. Grace is top notch – she gives the best services and is knowledgeable and super helpful. She made our stay here perfect and Fabio is so helpful and a great host too!! “With five other couples, we have just spent a beautiful week here at Villa Cecilia. Our accommodation has been amazing with a very relaxed feel. From start to finish, we have been looked after so well and been lucky enough to take in and enjoy the beauty of the villa. Many nights were spent sitting on the balcony overlooking the ocean, enjoying dinner together at the central table and sunning ourselves around the fantastic pool. We highly recommend having Grace and the ladies cook dinner for you one night and this was certainly a highlight for all of us. With yummy wine and divine food, it was a spectacular way to finish our stay here. “Villa Cecilia proved to be an excellent choice for our large family trip (16 persons) to the Palermo area. Well situated for visiting Palermo as well as Trapani, Erice, Cefalu, Tindari, for which the Villa arranged excellent bus tours, both unguided and guided. The bus and driver were superb as well as the tour guide was excellent – both informative and entertaining. The Villa scheduled a lunch for our large group at a typical restaurant in Palermo that was not just a tourist stop but a true Palermitan slice of life. The facilities and grounds of the Villa allowed our large group to enjoy both central gatherings for meals and recreation but also afforded smaller groups privacy and retreat. The staff was attentive to our needs. One night we prepared a very large birthday celebration meal after shopping in the open-air market of Palermo. The staff nicely set up the entire barbecue space and cleaned it up afterwards. “Very impressive garden with rare plants and spectacular landscaping. Massive space in excellent location with direct sea overview. The whole our stay was sunny weather +25C. Like autumn has never come to island. Kids were enjoying whirlpool and pools with plenty toys for swimming. Food and service were at level of Michelin star restaurant. “Thank you so very much making our first visit to Sicily so enjoyable. Villa Cecilia is absolutely lovely! From the moment we drove in through the front gate we knew we would love it. So beautiful! We were met so kindly by Davide, who assisted us with everything. And you providing us with a taste of Sicily with the panelle and olives and pizza, as well as that new aperitivo. So delicious. You have made the grounds of the Villa so beautiful. Your selection of the many different flora is really stunning. So creative. Everything that is in place is there in the perfect spot. So many different species. So beautiful. We didn't even find the abundant herb garden until halfway through the vacation, as we were eying the beautiful lemon trees and the roses and the wildflowers. Absolutely beautiful! Every day when we would walk the grounds we found something new! By the way, lots to explore, fun! When we would come back from a day trip, one day Agrigento, another day Monreale, another day Cefalu, we always looked forward to the beautiful and lush gardens to walk through. So inviting. Love the pool. So pleasant to take a dip everyday, or just sit and read a book. Crystal clear. Perfect temperature. And the outdoor showers are nice. Also many amenities here. How pleasant to listen to music while lounging at the pool. Thank you for the welcome basket of fruit and goodies! all consumed! Our cottage, Glicine, was very nice. Nice size, many amenities, perfectly stocked kitchen, very comfortable furnishings. So peaceful and quiet. And so private. “Luxury villa in a great location. The estate is a small botanical garden with first class swimming pool and spa. The apartments are part of an aristocratic villa, very spacious and fully equipped (WiFi, Satellite TV, a motor boat). In the vicinity are Palermo, a marine reserve and some of the most beautiful destinations in Sicily (San Vito Lo Capo, Erice and the Aeolian Islands). The owners and staff are very welcoming and do their utmost to meet your every need. “It was a pleasure to stay at Villa Cecilia and being back in London we are very much missing the beautiful botanical gardens, warm sun and relaxed atmosphere. The children particularly enjoyed the spectacular pools and taking the boat out really gave us a sense of the beautiful coastline and crystal waters. We would highly recommend stopping at the restaurant for lunch on the way back. The villa was comfortable and well equipped and you were all very attentive and welcoming. “Thank you so much for a fabulous week at Villa Cecilia in August! very well equipped, and air-conditioned, and the outside area was private and really beautiful. We were really impressed by the welcome and hospitality extended to us by the owners, who went to every length to ensure we were as comfortable as possible during our stay and got the most out of visiting the area by giving us useful site-seeing trips. As it was our first trip to Sicily it really made a difference to us to have some inside info on the best places to visit and make the most of our time. Our little boy really loved going to feed the fish with the owners and the family kids, and really enjoyed them taking the time to include him. We really enjoyed getting fresh food delivered from the bakery in the mornings and then to be able to sit at the outdoor dining area with a private view over the coast, and among the beautiful fruit trees. The pool area was beautiful during the days with the pink flowers all around, and a pleasure to relax at in the evening after the hot afternoons. My favorite was the hydro-massage pool but the children loved swimming after dark with the spotlights on and the stars above… the perfect end to the day! We picked this villa because the accommodation looked so good on the Internet and we couldn't have been happier with our choice, in fact it was even better than we expected! As we discovered the location was excellent too, the villa was just across the road from the sea, and right beside some restaurants. There were so many places to visit within a short traveling distance and Palermo was very accessible! There are still lots of places that we want to visit in Sicily so we would definitely be excited about a return trip and to stay at the villa again would be a pleasure.